Six months on from the Licensing Expo and we are now in London at Brand Licensing Europe. We have witnessed this amazing creation by Marco Hüsges pretty much from the beginning. We have followed his progress and reported on his many successes along the way. The business of licensing is more often than not pigeon holed into various age demographic splits, which limit your market. The amazing thing about the official emoji® brand is that it has no barriers to age demographics and applies to a non-gender specific target audience. Once you apply a sound plan and an owner who is passionate about what he does, no wonder it is so successful. Marco has strategically acquired rights and registered trademarks throughout this journey, which has given him great control over his property. There have been fringe brands in the market over the journey which have looked to commercialise their position, however there is now only one official emoji® brand in the market! Marco already has much of the globe taken care of and before long there will be nowhere you can go without the presence of the official emoji® brand and their products! To demonstrate your incredible growth trajectory, you were active in 60 countries this time last year. How many countries are you active in now? We entered into agreements with licensees from all over the world and cover more than 100 countries by now with our partners. Due to the global popularity of the brand we expect to expand into even more regions over the next month, especially as we signed some global food & beverage agreements which will carry the emoji® brand into the entire world. And as a testament to the brand and your plan for it, many of the existing deals you secured in the beginning are now up for renewal. I understand that your existing partners are very keen to renew their commitments into the future? Long lasting partnerships with motivated licensees who support the brand are essential. We have signed many renewals in the last few months with partners who started working with the official emoji® brand in 2015/2016. We have had amazing sales results in the categories of apparel, stationary, backpacks and party goods; we have also already signed multiple prolongation agreements for these categories amongst others. The brand has delivered excellent sales results at retail and delivered global proof of concept. Our vast content library that includes 6000+ icons and more than 50 available style-guides enable our licensees to create fresh and appealing product lines for the next seasons. Our unique brand concept offers a year-round potential to our licensees and we are happy to work with partners that share our vision in building brand value and being commercially successful. Both licensees and licensors strive for longevity and for a sustainable business which is something the official emoji® brand guarantees. You were approached by Forbes business magazine in Mexico for an interview and article on your success and business venture. How did this significant accolade make you feel? Making it into the Forbes Magazine of course made us all proud here at the emoji company. When the chance for an interview came up I was honoured to have the opportunity to speak to Forbes. Such global interest does confirm that we must have done something right. The emoji® brand has an extremely broad scope of application which our diverse portfolio of licensees underscores. The brand applies to a global target audience which does attract the media. 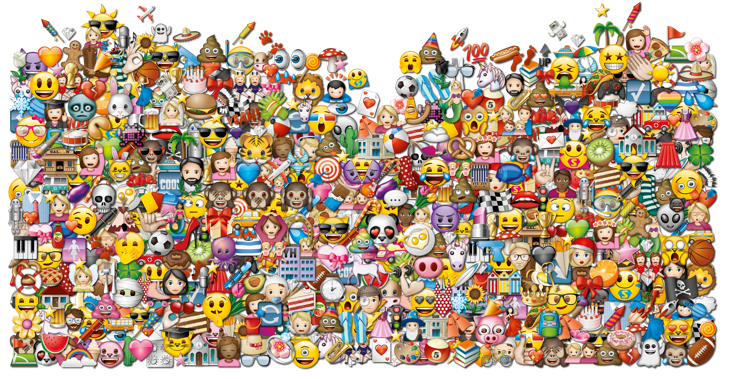 What are some of the more recent categories you have added to your emoji® portfolio? The emoji® brand already covers a huge variety of categories. In the first 6 months of 2017 our global partners submitted around 5000 different SKU’s. Apparel is still taking the lead, followed by food & beverage and promotions. This summer we released several fashion items with ZARA MAN. The expansion potential of the emoji® brand into non-related product categories is huge. We just entered the gambling market and launched an online casino game “emojiplanet™” with Net-Ent while coin operated video machines have been developed and released by Novomatic. You also will see the first emoji® credit cards in several markets soon. We often see brands limited by age demographic; economics and application, because of your brand’s universal appeal there seem to be no barriers? The luxury of the brand is that there are simply no limits when it comes down to expressing emotions and to share feelings. With the emoji® brand, our licensees experience an emotional and social connection with their consumers which is inevitable in today’s marketplace. Our brand enables companies to address their customers in the most powerful and understandable way. The enduring brand evolution and the endless design options deliver boundless potential to the industry. Most brands have limited target audiences whereas the emoji® brand is a unisex lifestyle brand that targets kids, teenagers and adults. A definite unique selling proposition is the consistent potential versus limited window sales for other brands. Please tell us about your most exciting promotional activation since Licensing Expo in May? Promotions are the most effective tool to reach your target audience and to maintain a sustainable growth of your business. We signed around 50 promotional campaigns with licensees such as Pepsico, Danone, Cola Cao or Nestle. This summer we launched a promotion with Nestle Waters in Mexico or with Vinda for tissues in China. Promotions have a significant share in our overall licensing program as they develop an emotional connection between the consumer and the brand which is important for brand loyalty. Marco, how well are you dealing with approvals these days? This part of the licensing structure can often be a barrier to getting product to market? Handling of submissions and approvals indeed is one of the most important aspects in the licensing industry. Time is of the essence with most partners and the emoji company strives to give speedy responses to all its clients and to work closely with them to ensure an uncomplicated and fast approval process. Our in-house approval team will be once more extended in the next months due to the amount of submissions and the overall brand potential. To meet the demand of our licensees we already installed local Approval Managers in key markets such as Mexico. What is your philosophy in relation to managing and controlling growth of the brand? Fast growth is a blessing but of course such growth needs to be managed the right way. We live in a competitive global marketplace and each market approach must be taken step by step. The retail landscape is changing fast and so is the customer. All that needs to be taken into consideration while growing. I believe in proactive management and out of the box thinking combined with a crystal-clear strategy. Our success is the result of heavy investments into brand building, content creation and marketing. Our brand does not depend on a television series or on a movie which is another fundamental unique selling proposition. Our goal is to sustain long term growth for the emoji® brand for decades and we laid out a solid foundation for that. You will be exhibiting again this year at Brand Licensing Europe in London at Stand #E70. I am sure there will be much more you will be able to announce around your brand during and after the show. We wish you every success and look forward to speaking to you again soon Marco. Thank you! Click here to read this interview in full colour in our latest magazine!